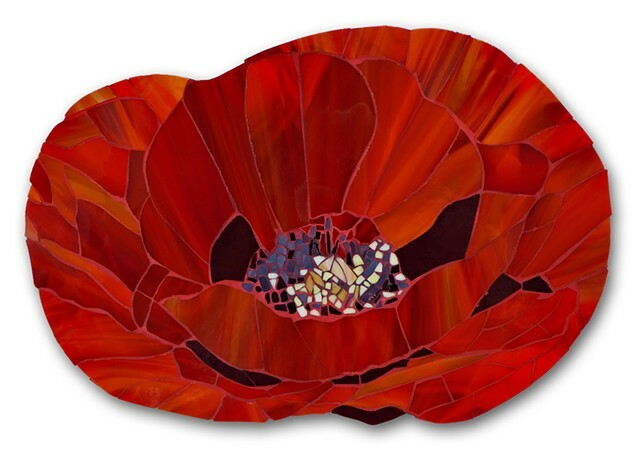 Rhonda Dönges has been making mosaics for 10 years now. As an autodidact, she constantly developed herself by experimenting with various materials and techniques. Stained Glass is her preferred material. "Glass is fragile, transparent and yet still so powerful. It is a natural material, which subsists on the variation of light and shade. I love the interplay of the gentle yet contrasting streaks in the glass. I like to discover the most vivid pieces and process them studiously. There is a tremendous radiance and glow to stained glass and it captivates with its three-dimensional effect and the intensity of its colors. I love to make mosaics which reflect nature and moments that are true to life. I want to attract the viewer`s attention to the detail without losing sight of the big picture. For me it is about the deliberate play with light and shadow and the harmonic flow of shapes and colors. I especially love round and organic shapes." Most of my work is for sale. I gladly do commissions.